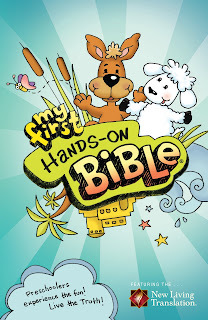 My first Hands-On Bible was produced by Tyndale Kids with the hope that preschoolers can "experience the fun!" and "live the truth!" of the Bible. I have to say that I am very impressed. I currently have a 1 1/2 year old little boy who loves to read books and flip pages. Although he is too young to sit still and read through the bible stories with any consistency, he is captivated by the pictures and activities that are included in this Bible. What truly makes this product unique is that it is the only preschool Bible with actual text from the Bible. It features the New Living Translation. I have always had issues with preschool Bibles because they tell stories about scripture but do not include any Scripture text! This Bible not only has NLT passages that are age appropriate, but it indexes them with both the biblical chapters and verses. My first Hands-On Bible also includes many activities, prayers and picture lessons to engage your child in learning while they are reading. An example is the story of Jesus as a Boy in the Temple, taken from Luke 2:41-52. 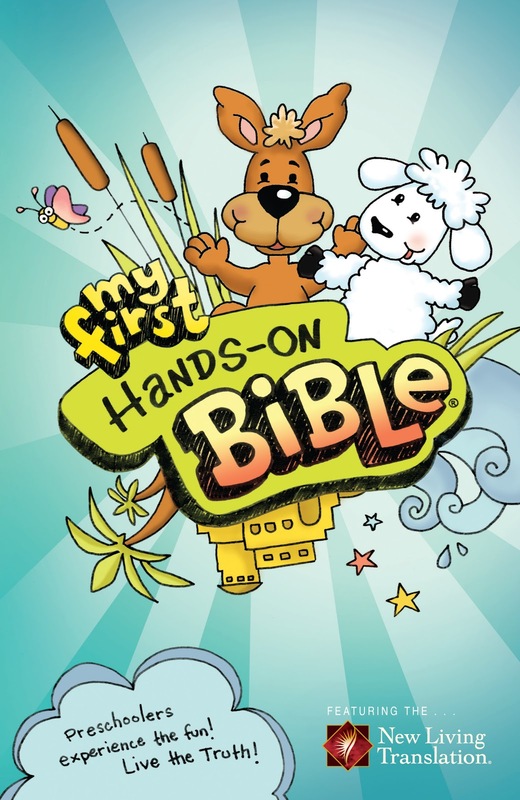 The scripture in this Bible is interspersed with colorful hand-prints that lead to an activity you can do with your child. The story includes activities such as dancing at the festival, hiding a toy and playing hide and seek (to mimic Mary and Joesph searching for Jesus when he disappeared), and making worried faces. All biblical passages conclude with what they call "The Jesus Connection" and offer suggestions for further learning, such as going on a church walk, building a special fort, or saying personal prayers. This is a wonderful Bible that I look forward to sharing with our family. The hard back cover and thick glossy pages make it very sturdy and easy to handle. If I have any complaints about My first Hands-On-Bible, it would be that some of the things included might go over the heads of preschool aged children and might be more appropriate for ages K-3. However, I appreciate that they did not make the Bible too simplistic and take away from the truth of the stories and the power of reading actual scripture to your children. I believe that My first Hands-On Bible would be a wonderful addition to any family's prayer and devotional time. Disclosure of Material: I received a complimentary copy of this book from Tyndale House. I was not required to write a positive review. The opinions I have expressed are my own. Mom to 4 incredible children. Sharing the blessings, joys and struggles of parenthood and life in Christ. 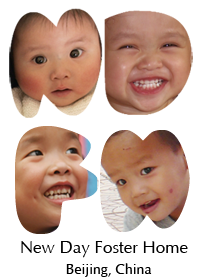 Learning to embrace epilepsy, cerebral palsy, spina bifida and hydrocephalus with JOY, HOPE, and LOVE.